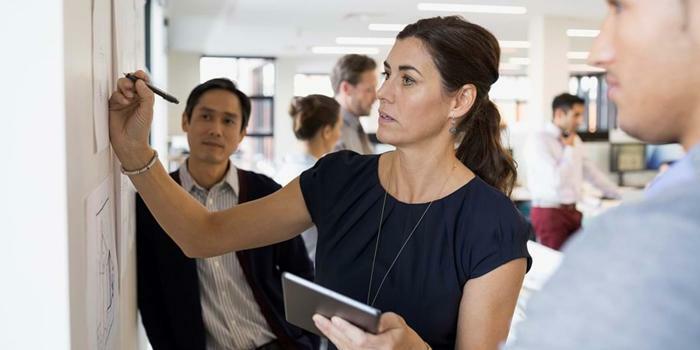 Half of startups have no women on their leadership team, according to Silicon Valley Bank's Women in Technology Leadership 2019 report based on survey responses from technology and healthcare executives in major innovation hubs. While the annual report finds that there is some progress, a lack of gender parity persists. Just 56 percent of startups have at least one woman in an executive position, and only 40 percent have at least one woman on the board of directors. It was found that 59 percent of startups have some type of program in place designed to increase the number of women in leadership — and that the founding team’s gender often determines which executive roles women hold at startups. "We have measured gender parity in startup leadership since 2014 and the numbers continue to be concerning. We must do better," said Greg Becker, CEO of Silicon Valley Bank. "There is, however, a bright spot in that startups are recognizing the pressing need to be more proactive; 59 percent now have programs in place to help close the gender gap. While there is still a great deal of work to be done, we believe that the innovation economy is making progress and sees that increasing gender diversity as an important way to attract skilled talent, one of the biggest challenges facing startups," said Becker. The report measures the percentage of women in leadership positions and compares startups' views of the innovation economy based on the gender of their founders. 28 percent of startups have at least one woman on the founding team. Founder gender often determines women's roles. Just five percent of startups with only men on the founding team have a female CEO, and they are much more likely to have women leading HR and marketing. 59 percent of startups have programs in place designed to support gender diversity, the highest percentage we have seen since the report's inception in 2014. Raising capital is hard for all startups, and even more challenging for companies with at least one female founder. 87 percent of companies with at least one female founder describe the fundraising environment as somewhat or extremely challenging compared to 78 percent of all-male founding teams. Startups with at least one female founder are more likely to engage with small investors. When it comes to gender-based hiring goals, 24 percent of startups have company-wide hiring and promotion goals, seven percent have goals for C-level positions only, and 17 percent have goals to add female board members. Startups were also asked to describe the programs they have in place to support gender diversity. The most common programs include creating a flexible work environment, recruiting/interview techniques, and leadership development. "Over the past couple of years at Gapsquare, we have seen tech companies using data to narrow gaps," said Dr. Zara Nanu, CEO and Co-Founder of Gapsquare, a UK-based big data company using cloud-based software to analyze and narrow the gender pay gap, as well as building equality and diversity into company practices. "There are a few initiatives that are already providing results. Some of the most successful initiatives we have seen focus on providing flexible working for all employees, and finding new and innovative ways to think about hiring new talent as well as promoting employees within the company. We have also seen progress in companies which analyze all of the reward and compensation elements and restructure them to ensure they benefit everyone," said Nanu. This report is part of the 10th anniversary edition of SVB's Startup Outlook Report, which is based on a survey of 1,400 technology and healthcare startup founders and executives primarily in the US, the UK, China, and for the first time, Canada. Follow the conversation on Twitter at @SVB_Financial and with #StartupOutlook.